If you are trying to lose weight, focusing all your energy on just running won’t cut it. Healthy eating is an important aspect that should absolutely be incorporated into your weight loss plan. The only way you will lose weight is if you manage to burn more calories than you consume. If you ignore your diet, you could even end up gaining weight even with regular runs. After runs, you will realize that your appetite is increased due to the calories you just burnt. Eating something sweet or a meal loaded with carbs to compensate might be tempting, but indulging will only serve to defeat the whole purpose of running to lose weight. To curb your appetite, eat high-quality foods that are low in calories and high in nutrients. Instead of turning to junk food to reward yourself after a run, try eating lean proteins, seeds, nuts, fruits, vegetables, and healthy oils such as olive oil to fill up. Avoid foods such as sweets and sugary beverages, fried foods, and refined foods. Opt to eat small portions frequently during the day so that you feel full for longer. 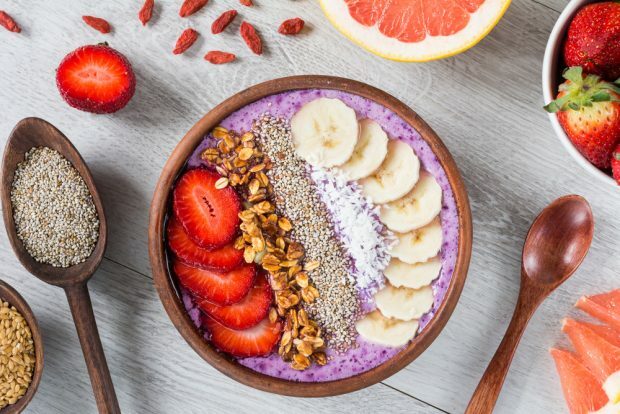 Once in a while, you can reward yourself with your favorite dessert, but generally, keep your indulgences in check if you are serious about losing weight. As you make adjustments to your diet, try not to underfeed or follow diet plans that leave you feeling weak for days on end. Your body may interpret this as starvation, consequently slowing down your metabolism rate to conserve energy. In the end, you will be actually doing more harm than good. Do not push yourself too hard, especially if you are new to the whole running experience. You might think that training for a marathon just as you are starting out is a good way to go, but this will only end up in you getting injured. Start out with jogging over a short distance. As you get accustomed to the running, increase your intensity, as well as the distance over which you run. Eventually, you will move past the point in which running is uncomfortable, and true enjoyment sets in. By this point, running will be second nature, and the famed runner’s high could be a reality for you. Just remember to take your time and slowly build up to this point. Exercising to lose weight by exclusively running might not be enough to get you to your desired weight goal. Seriously consider adding resistance training exercises to help you lose weight even more effectively. 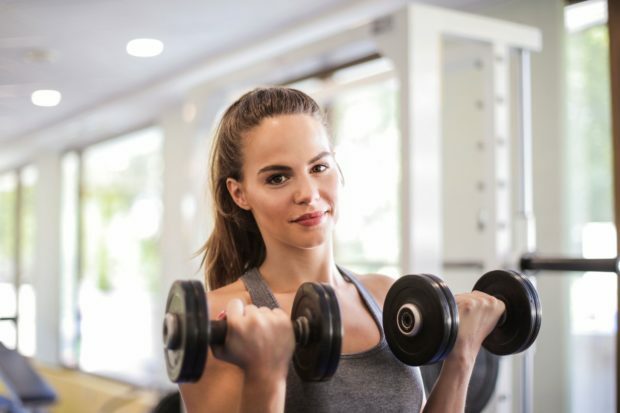 If you have access to a gym, some of the resistance exercises you can do include lifting free weights, using suspension equipment, and exercising on weight machines. At home, work out by doing exercises such as pushups, sit-ups, lunges, and squats. To recover from strength training, eat some healthy proteins, as per your newly formulated diet plan. It is important to come up with a running routine that you can follow in order to achieve your weight loss goal. Create some time in your busy schedule that you can fully dedicate to running. This might be early in the morning for one person or nighttime for another. Once you settle on a particular schedule, try as much as possible to stick to it in order to develop a consistent running habit. Many people tend to overlook the importance of the right shoes. Run your way to weight loss in comfortable shoes that offer arch support and midsole foot cushioning. Arch support is important for runners who have flat feet, but even those with high arches can benefit greatly. Midsole foot cushioning is paramount in alleviating the stress that is usually placed on the toes, heel, and ankles during a run. 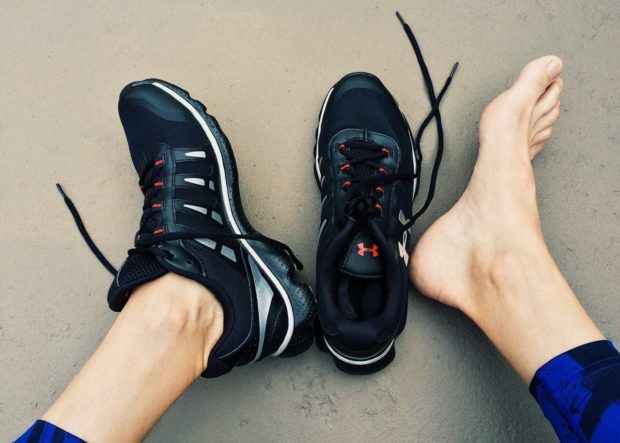 With the right running shoes, you can avoid injuries and significantly improve your experience. Running your way to weight loss is possible. However, to achieve your desired weight and running goals, you need to be sensible and follow these few simple guidelines. Elliot Rhodes is a young ambitious guy who has been researching self-development for the past two years and is now off traveling the world. He is also a marathon runner. His mission is to inspire others to live their dreams and be the person to whom they say; “Because of you, I never gave up.